There are millions of single parents who have a negative credit history. The first step to dealing with a negative credit history it to acknowledge you need help and that the problem is not going to go away in itself. Secondly, by getting a credit report you can assess the financial situation you are in. This can be done free of charge from the three individual credit bureaus. Also, by obtaining a credit report, you are free to query any negative items on that report. There are three bureaus in the USA which can supply you with an easy to understand summary of these reports. The bureaus are Experian, Equifax and TransUnion. Dealing and resolving your negative credit history can open a door to a host of opportunities. You will not only receive better rates on credit cards and other types of loans, but it will also improve your chances on acquiring a home loan. There are numerous ways of obtaining a better rating. Credit counselors can assist you in improving your credit score, but you can also do it yourself. Once you have obtained your credit report and you have noticed there are bad credits on there that cannot be verified, you should make sure you know your rights. You have the right to challenge the accuracy of your negative credit history report. Write a letter to the credit bureau and explain each dispute. Request an investigation. If you have any supporting paper work send it along. Make sure you make copies and not the originals. Make sure you send all the items by registered mail and request a return receipt so you can track your report query and ensure it has arrived at the bureau. Send a similar letter of dispute to the creditor whose statement you disagree with. The bureau will then initiate an investigation. They will contact your creditor in question to verify the accuracy of the information. If the creditor cannot verify the accuracy of your negative credit history, it must be removed. The credit bureaus must re – investigate your query within 30 days. If the bureaus cannot or do not confirm the challenged items within 30 days, they must delete the information from your files immediately. If they do find an error, they must either correct or delete the challenged item from your file immediately. After making an outstanding payment, the creditors will delete the negative accounts and change them to a positive rating. You do not want another company to file the dispute for you. The credit bureau will suspect that you have paid someone else to repair your negative credit history which might look a little suspicious. The older the item, the most difficult re – verification is. Records may no longer exist after a year or two. Keep in mind that the credit bureaus are not concerned whether the information they have on your file is correct or not; they did not lend you the money. The bureaus are only used to store this information. Improve your Payment History: Many factors will be taken into account when mortgage lenders or banks review your credit report. They will not only look closely at your account to determine whether you have any late or missed payments but they will also access your three – digit FICO score. Remember that you payment history will reveal your level of responsibility. Make sure your bills are paid on time. There will be a time when you are not able to pay your accounts on time and if this happens, rather than skipping a payment, contact your creditor, inform them of the situation and ask for help. The creditor may temporarily suspend your payments or alternatively extend your due date. Debt to Income Ratio: If your debt payments come close to exceeding your income, you will most likely notice a credit score drop. Future lenders may not extend additional lines of credit even if you can afford your minimum payments. Remember that excessive debts will damage your credit rating. By keeping your credit card balances low you can raise your credit score thereby decreasing your negative credit history. Another option would be to find ways of making additional income such as earning money online or getting a better paid job. Keep a Low Balance on Your Cards: Exceeding your credit limit over a long period of time can also lower your credit rating. Switch From Credit Cards to Debit Cards: This way you have no credit bill to rack up every month. 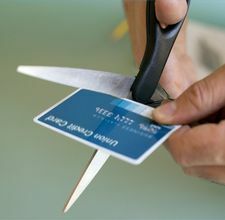 Reduce the Number of Credit Cards in your Wallet: Consider paying off the debt with the highest interest rates. This will make reviewing monthly statements and paying your bills much easier and lower your overall credit limit. Whether it be for lack of information or energy as a single parent with a busy schedule, most simply accept their credit report without question. The truth is that many people suffer from negative credit history. Their credit report has either never been reviewed, errors have never been cleaned up or disputed. These can all be easily removed if you take the time to acquire your credit reports. Neglecting or just accepting your credit report without question is a costly strategy and puts an unnecessary burden on you as a single parent. In most cases, you will not need a lawyer or the assistance of a professional credit repair agency, you just need some personal initiative. There are many debit or credit counselors that offer a very efficient service that can also help you regain your credit score back again a lot quicker with their help than doing it on your own. A reputable credit counseling organization will be able to advise you on managing your money and debts and help you develop a budget. There are trained counselors that can offer you many basic techniques that you need in order to stop the whole system from collapsing all around you so that you cannot afford to feed your children or pay for accommodation. But that does not mean that you, as a single parent, cannot do it by yourself as there are certain guidelines that you need to follow and contacting the credit bureaus is one of them. Regardless of your negative credit history you are advised by all consumer advocates to get your credit report sent to you on a regular basis and this is done by communicating with the bureau directly. The first thing you have to check on when you get your credit report is how accurate it is and that everything that negatively affects your score is accurate information. The last few years there has been a marked increase in identity fraud and that makes the reason for looking at your credit report even more important because someone could be using your name in order to gain access or get money from a million different possibilities. For example taking your name and details and opening an account and then taking goods on that account and not paying them over the minimum monthly payments the delinquent account is then reported on your credit report and this affects the score, so it is important to check and agree with all the negative entries and it will affect your negative credit history. All of these issues are very important if you are considering big purchases like a car or a house or if you want to apply for insurance and more importantly a job. But if you see something that is not correct on your credit report you can write to the credit bureau concerned and they have to respond to your request within 30 days otherwise you can lodge a case against them at the FTC (Federal Trade Commission). 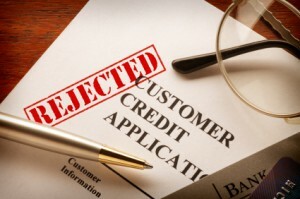 There is a law that says that if you have a negative credit history report and you write a letter to the seller explaining about the situation and why you think there is no money outstanding, the seller has 30 days in which to respond and failure to do so will make the credit bureau remove the negative credit history report completely. You would have to be in contact with one of the bureaus whether it be Equifax, Experian, or Trans Union and keep them up to date with all this information. If you decide that you need the advice of a debt counselor you need to find a counselor who is honest and not going to make any false claims about trying to apply for credit under a different name or number is illegal and you can go to prison. A debt counselor is also no allowed to charge you for a service that they have not yet performed so you should not be asked for any money up front. In most states there is a three day waiting period after the contract between you and the counselor has been signed in which time you can cancel the contract and not be required to pay any fees. You should take your own copy of the contract and make sure that you understand everything that you have signed for in those important three days. Terms and conditions on what can be expected from the counselor as well as yourself are very important and is the basis of any contract. The contract should contain detailed explanations of the services the counselor or his/her company is offering as well as any guarantees that are offered need to be clearly marked in the contract. It is good to know that if you have ever thought of filing for bankruptcy you will not be able to do so unless you have been to a government recognized debt counseling service for at least 6 months. You need to make sure that the counselor you select to do this work for you is registered and recognized by the government and do not take their word for it and rather check on the list yourself which you can do on the Internet for no charge. You should seriously consider the services of a debt counselor if you are not able to maintain a budget and stick to it or if you are not able to work a repayment plan with your creditors. The counselor negotiating on your behalf can often make a big difference in how your creditor feels about the debt and the charges that are going with it. A good debt counselor is able to get your interest rate lowered as you pay off the debt which can help a lot when all added up. Even though some counselors will be part of a non-profit organization it does not mean they will not charge you a fee and you need to make sure that all the fees are clearly marked in your contract as some will insist on a donation as well. Most counselors will offer services by telephone, Internet and local offices with one-to-one counseling. Many universities, military bases, credit unions, housing authorities and branches of the U.S. Cooperative Extension Service operate non-profit credit counseling programs but you can also get referrals from your financial institute, local consumer protection agency as well as friends. Removing your negative credit history is of utmost importance and if you follow these tips and guidelines, you will not only be able to remove your negative credit history but you will also ensure it does not happen again.